In the 1980’s, during the Afghan conflict, Russian soldiers stumbled on ####### of #### in the ##### ####### Hills, on the border with Iran. In a 2005 report commissioned by The CIA and later posted on Wikipedia, estimates were made of ###### ######### ##### ####### ###### such as ###### ####### ###### ####### ### 3####### ############# ###. In 2010, these estimates had quadrupled. The 2005 report has since been allegedly removed from Wikipedia, when it became widely reported that ##### had wrong footed the Pentagon on ### ###### of #### ##### ###### and put in jeopardy the manufacture of ##### ###### ######, crucial to our armed forces and our technological dominance in conflicts. Further #####’# monopoly of producing ##### ##### ######, is a serious threat to the electronic manufacturing industry and they have already begun to limit supplies to the world market. Under no circumstances must a connection be made to these facts and the stated reason for the conflict in Afghanistan in order to maintain the emotional support of our citizens. Of course, this is not an official report, but there are plenty of facts in there, which if I didn’t blank them out would give away, the plot to my not so short and controversial story, ‘Where there is a will, there is a war’. 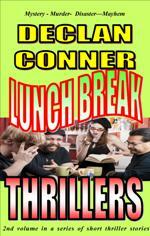 The story is just one of 12 in the compilation titled, ‘Lunch Break Thrillers’ and available on kindle to download at $0.99 in America and 70p in the UK. Prices may vary in other countries due to local taxes. 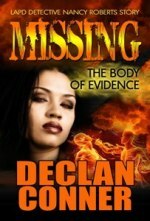 The story is innovative in that I have used links to articles to make the story interactive and add a ring of truth to what is otherwise a fiction thriller and leave you with something to ponder long after you have turned the last page on the story. Not got a kindle . . . Don’t worry you can download a version FREE to your PC direct from Amazon. Simply click on the book page for your Country and scroll down. On the right hand side, you will see where to action the download. hi there, excellent blog page, and a very good understand! definitely one for my book marks.